On a Diet? Our Angel Food Cupcakes have only 75 calories! These light and airy angel food cupcakes are perfect for those of us who are watching are weight. Seriously, as a life member of Weight Watchers, I'm in a day-to-day-battle with my scale. Try as I might to cut out sweets...well, it isn't always easy. So I'm always thankful when a low calorie recipe catches my eye. This recipe is guaranteed by the good folks at Good Housekeeping Magazine. I found it while skimming through some old magazines circa 2003. The magazine got recycled, but I tore out some easy cupcake recipes pages. This was one of them. And as usual, if you've got your own recipe for angel food cupcakes, please send it in and become part of our baking community! We'd love to hear from you! In the meantime, enjoy the recipe! 1. Preheat oven to 350°F and line twenty-four 2 1/2-inch muffin cups with paper liners; set aside. 2. On waxed paper, sift flour with 1/2 cup confectioners' sugar. 3. In a large bowl, with mixer at medium speed, beat egg whites, cream of tartar, and salt until foamy. Increase speed to high; beat until soft peaks form. Sprinkle in granulated sugar, 2 tablespoons at a time, beating until whites stand in stiff, glossy peaks when beaters are lifted. Beat in vanilla. 4. Sift flour mixture, one-third at a time, over beaten egg whites; fold in with a rubber spatula just until the flour mixture is no longer visible. 5. Spoon the batter into the cupcake liners. Batter should come almost 2 inches over the top of the liners. Bake 20-22 minutes or until a toothpick inserted in the center of the cupcake comes out clean. Remove cupcakes from the pans and cool completely on a wire rack. 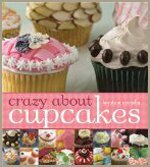 When cupcakes are cool, dust with confectioners' sugar or frost with Chocolate Glaze or Citrus Buttercream with lemon.